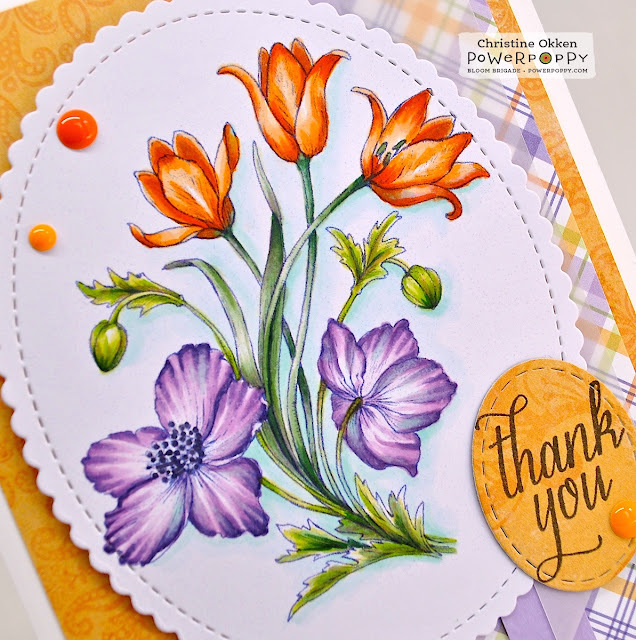 Another treat for you today with a beautiful new digital image from Power Poppy! 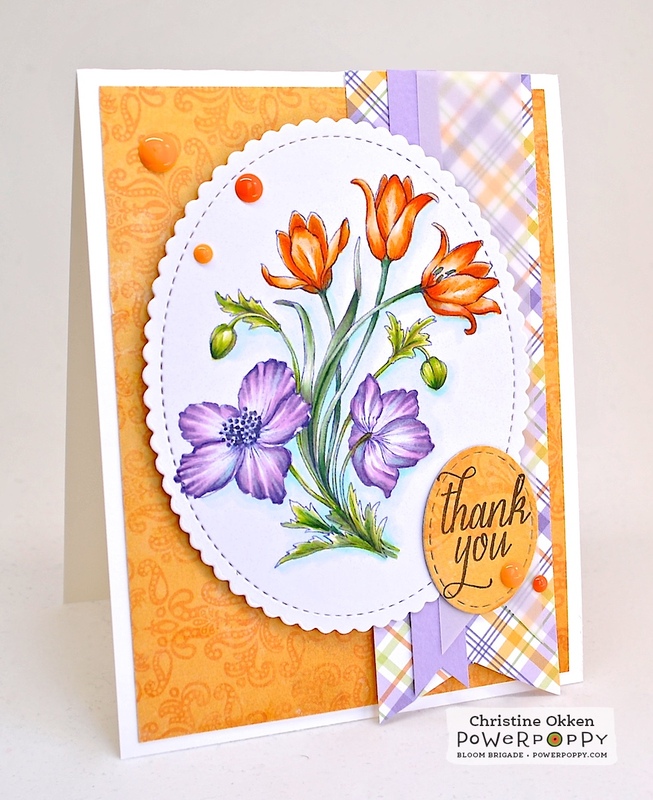 This one is called Sunset Sway, and no I’m not dancing, but the flowers are :) It combines some lovely Clusiana Tulips and Wild Anemones together, and you have the choice of the scene with a butterfly or without! I chose to just let those blooms shine without the butterfly. 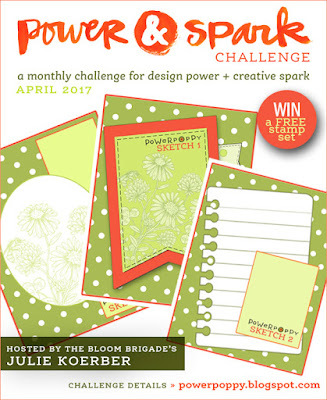 I picked a bright and sunny colour combination and also used one of our Power & Spark Sketches for this month. Have you played along yet? There’s just a week left! Because I needed another thank you card for Administrative Professionals Day next week, I used the sentiment from Power Poppy’s set, Burst of Kindness. Here’s another reminder about the challenge this month. Some great sketches to choose from, and you could win a Power Poppy set of your choice, just for playing along! Pop on over and see what the rest of the Bloom Brigade has to show you today! 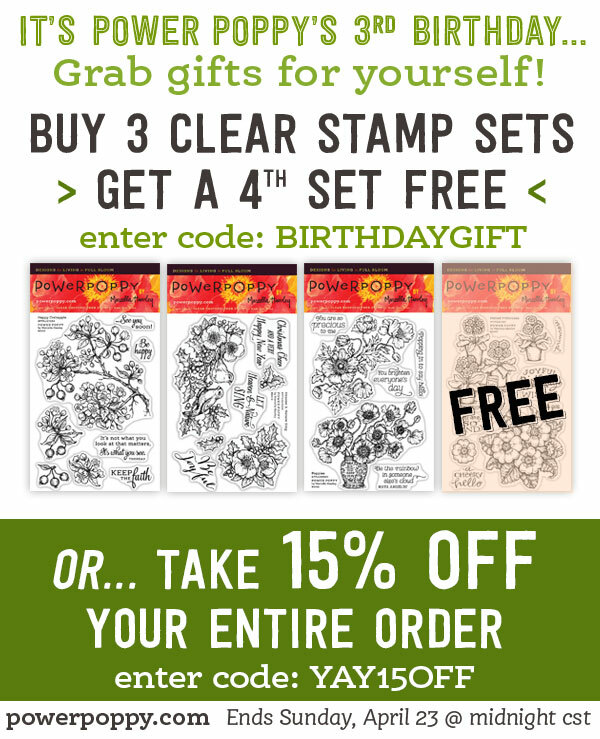 Now....before you go, have you heard our 3rd Birthday Celebration news? Woo Hoo! it's very beautiful Christine and I love the way you always colour the flowers. Ohhhh, the combination of this gorgeous image with your stellar coloring, and the pretty sketch and papers is absolute eye candy! Gorgeous card and your coloring is fabulous. Love it.